In all the years that I've been following a cappella groups, I've come to realize one thing..the best performances lift your spirits. Even during the most emotional, heartbreaking covers, you cannot help but to feel a certain level of inspiration or admiration for what you are witnessing. And this is one of the reasons why we love a cappella music. It connects with you on a deeper plane like no other genre can, producing a joyous feeling that cannot be denied. Today's Top 5 demonstrates music's uplifting and empowering nature, as we highlight groups who have covered some of the most inspiring tracks around. Some may leave you a little misty-eyed, while others have the power to lift you out of the darkest places with bright and melodic vocals. But each demonstrates a deeper message through the powerful medium that is the human voice. Calm and steady wins the race and such is the case with Jon McLaughlin's poignant hit covered by Beyond Unison. The lyrics are so relatable and the delivery here is truly phenomenal by Beyond Unison. Andra Day's newest hit sounds like the anthem for the new generation when covered by the UT Singers and UT Chamber Singers. It has momentum, edginess and a fiery passion that's both soothing and invigorating. Sometimes subtlety has to be thrown out the window, and The Unisons are not shy about letting it be known. Inspiration can often come from an aggressive place and this pop-heavy stunner proves that in the best way. 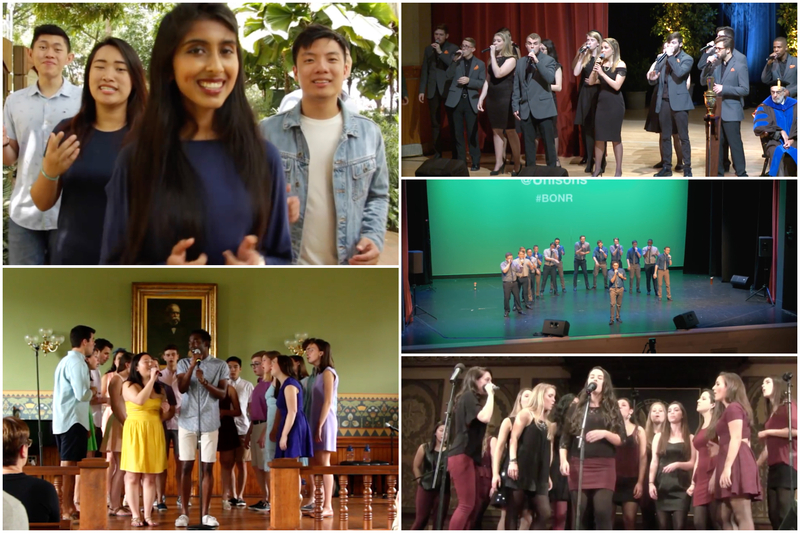 It's a well-known fact that Sara Bareilles' music has the power to end all world conflicts, and SMU's Voix wonderfully recreate that warm and cheerful vibe with their take on "Brave." The beautifully polished vocals coupled with the light-hearted tone makes the song's inclusion into the list a no-brainer. The GraceNotes are quite the musical force when it comes to delivering stylish pop-rock vocals. The performance is an uplifting symbol of unity that's cohesive, well-balanced, and has a strong sense of positivity.